Mr. Jim Purcell was appointed as Acting Secretary of Information Technology on July 15, 2017, and leads the state’s Information Technology policy, planning, and governance efforts. Additionally, Jim is responsible for all aspects of the shared services IT offerings in the State of Alabama. This includes multiple data centers, the state’s data networks, multiple mainframes and the state’s voice services. Virtualization technology, shared storage, enterprise application management and support services are also part of Jim’s organization. 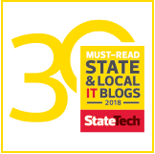 Shared IT services are provided to all 180+ agencies and boards in the state at some level. Jim brings over 25 years of IT experience to the Governor’s Cabinet. Although he is new to public sector work, Jim brings a wealth of leadership experience to the State of Alabama. He served as the CTO for Brasfield & Gorrie, a $2.5 billion general contractor, for 17 years. He then served as the principal in a consulting firm whose services were brought under NWN, Inc. for continued growth. Most recently he was the Manager of Solutions Architecture in Alabama and Tennessee for IT solutions provider VeriStor, Inc. 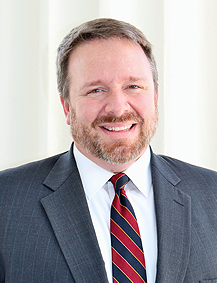 Prior to Brasfield & Gorrie, Jim was the president of PCSI, a consulting company headquartered in Atlanta, Georgia, that served such notable clients as Georgia-Pacific, Atlantic Steel, Brockway Standard and CibaVision. Jim has served on many advisory boards including Sprint, TW Telecom, Keysis Consulting, GotMyJobs.com, Beloved Robot and Oracle EPPM. He has served as president of SIM – Alabama and chaired their fundraising efforts for 12 years. Jim was the president of Construction Information Executives, a group of CIO’s from the largest construction companies in the US. Mr. Purcell’s education includes a Bachelor’s of Business Administration in Accounting from Georgia State University in Atlanta, Georgia. While at Georgia State, he served as the Vice-President of Tau Kappa Epsilon social fraternity. Locally Jim is very involved in his community and serves as the president of the Willow Trace Swim and Tennis Club, past-president of the Hoover Athletic Association, and member of Hunter Street Baptist Church. He has been married to the former Rhonda Padrick since 1991 and has 4 children.